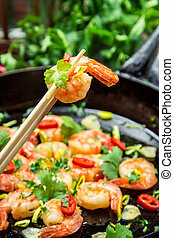 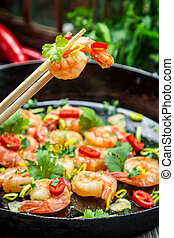 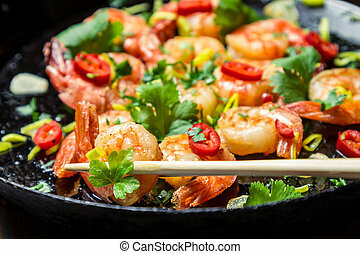 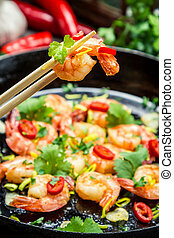 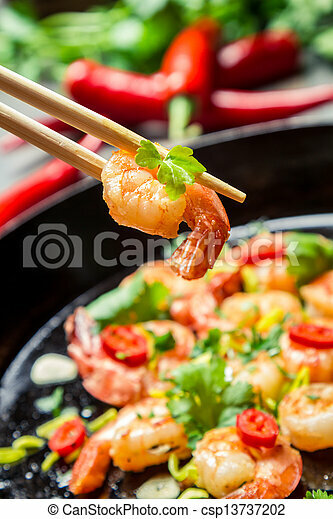 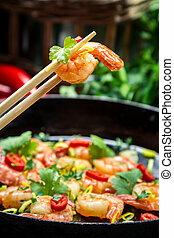 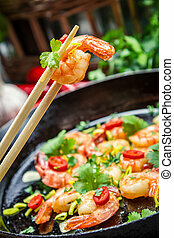 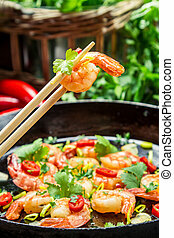 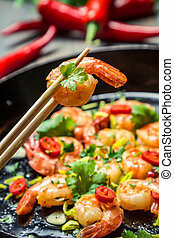 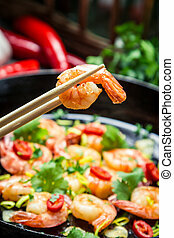 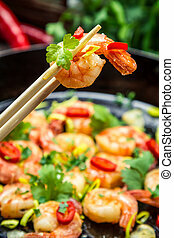 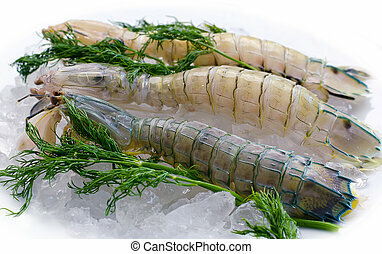 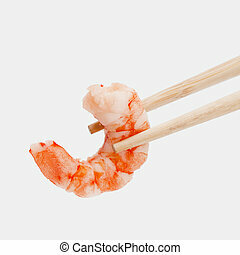 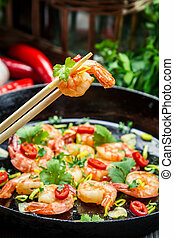 Fried shrimp on chopsticks with herbs. 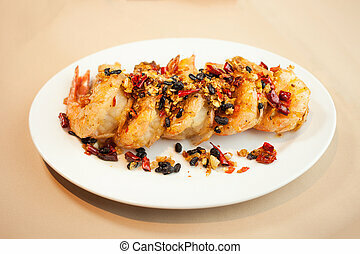 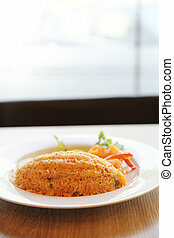 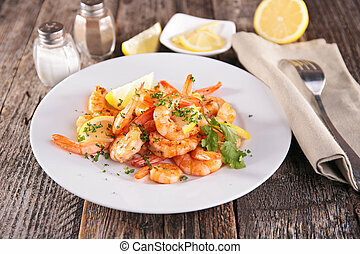 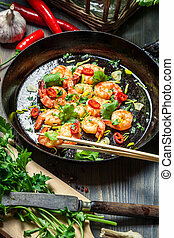 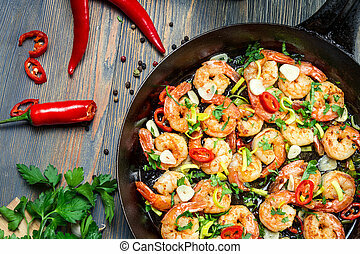 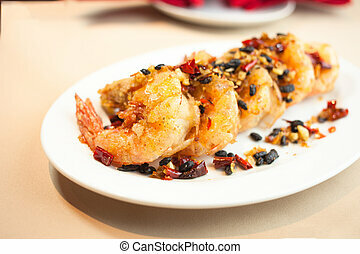 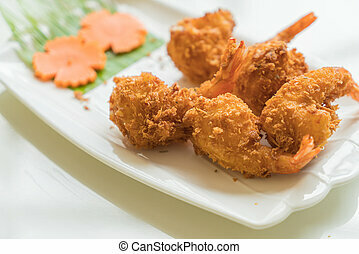 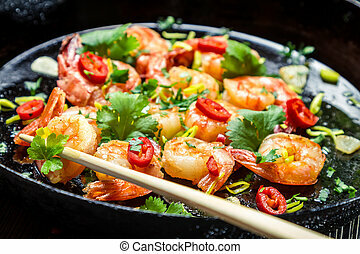 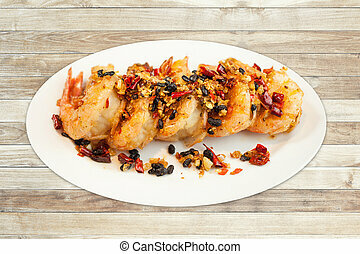 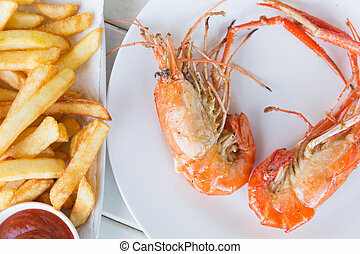 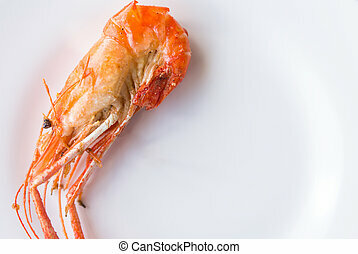 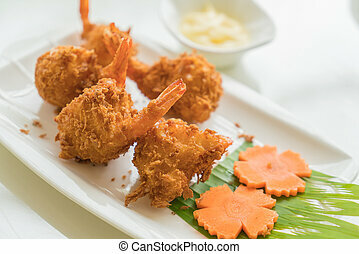 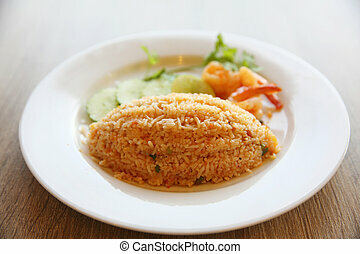 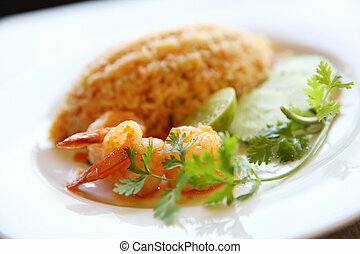 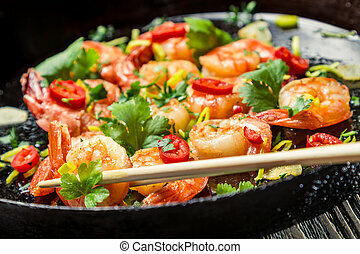 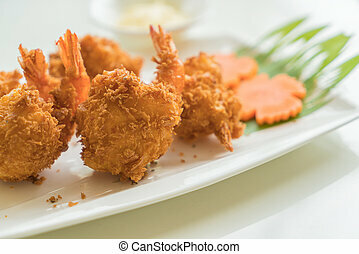 Fried shrimp with spices on dish. 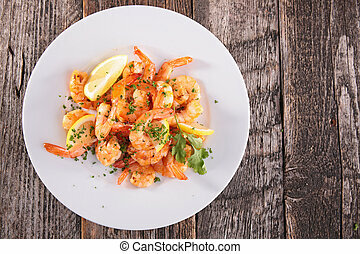 Fried shrimp with spices on dish .